Kohleria 'Peridots Rolo' is a great little windowsill plant. It's compact, floriferous, and apparently blooms even in low light. Mine (probably shared by an NCAC member - you know who you are) has just started flowering, and there are many more buds in the works. It's been sitting on a northwestern tinted-glass windowsill where the most light it gets is about 30 minutes/day during a short period when the sun is in just the right spot. 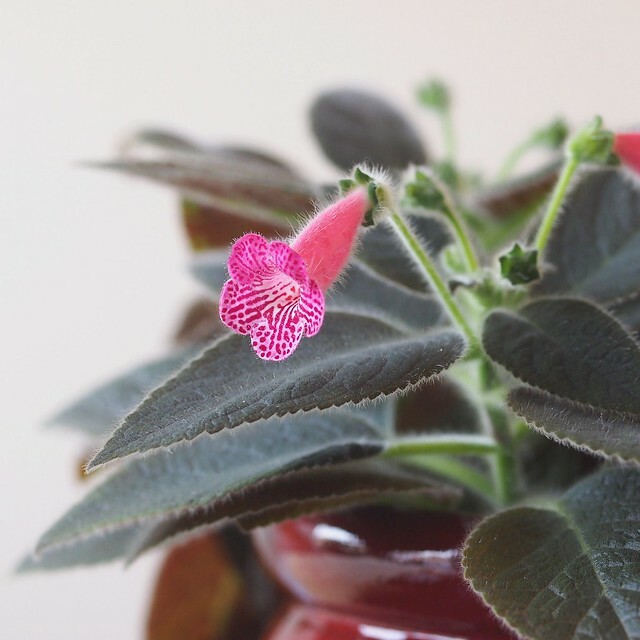 I've found Kohleria do not form buds on my light shelf where there is no temperature drop at night, so I suspect it needs a nocturnal dip to flower.